This festive cable ring is made from ½” ash. 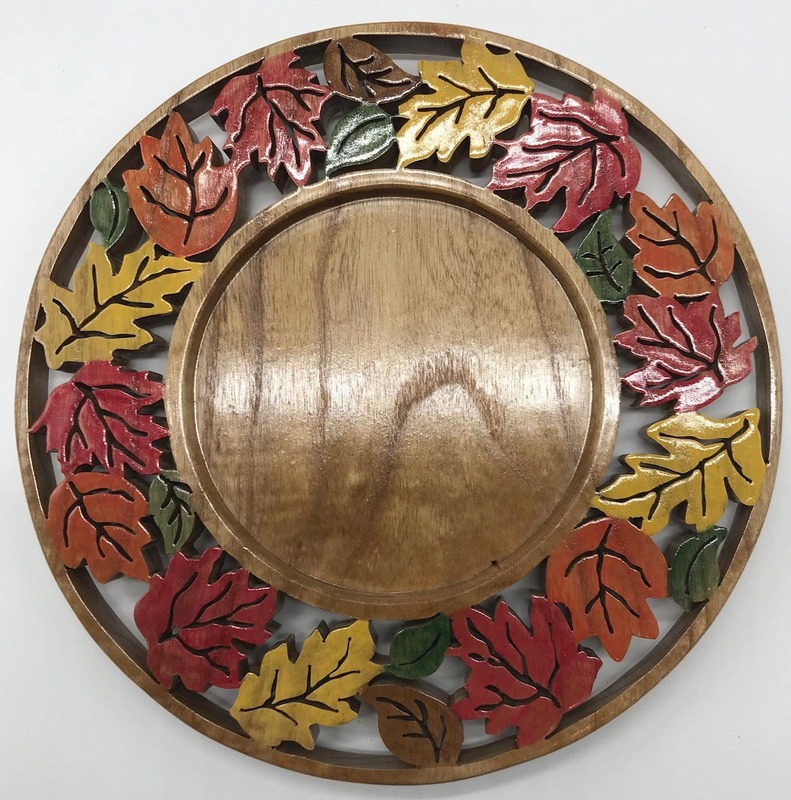 It is hand cut using a scroll saw and the leaves are hand-painted with translucent acrylic paint in rich fall colors. The outside diameter of the piece is 8". The center of the ring is recessed to hold the candle using the bevel cutting technique on the scroll saw. It can hold a 4” candle. This candle ring would make an attractive centerpiece on the dining room table or as accent piece in most rooms of the house.